The other day as I was exiting the train station here in New York City, I looked up and realized the sun is setting earlier. While that wasn’t the first time that’s ever happened, it always catches you by surprise and it’s a sure sign fall is right around the corner. 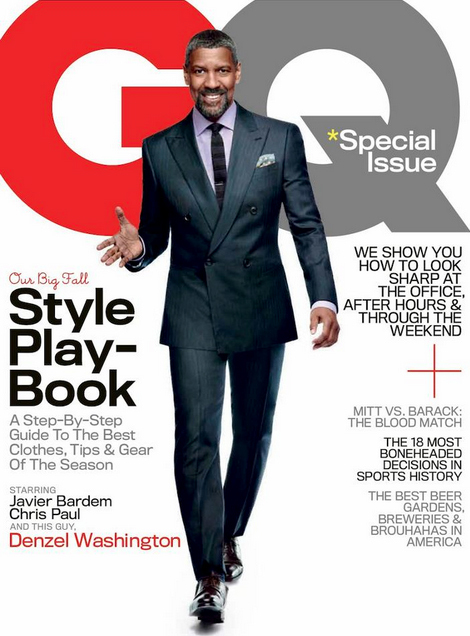 The October issue of GQ features Denzel Washington and he looks fantastic. If you weren’t looking forward to wearing suits again and this cover didn’t change that feeling, nothing will. To me it happily screams fall and has me looking forward to the layers of clothing I gravitate to as the temperature dips. It also means I can wear heavier scents that I pushed away during the warmer months. With that, here are seven fragrances I offer for your consideration this fall. I’ve been waiting for sometime for the weather to get right to wear this creation from Opus Oils perfumer Kedra Hart and the award-winning writer Michelle Krell Kydd. The partnership produced something I’ve never seen done in the perfume industry. The fragrance brief, a document that fully explains the scent’s inspiration, was made public. You can read all about it at on Kydd’s blog Glasspetalsmoke but at its essence, M’Eau Joe No 3 was inspired by there things that are dear to both Hart and Kydd, rock n’ roll, the blues and perfume. The result is ridiculously awesome. The scent is on fire and jumps out of the bottle. Its whiskey note is apparent on the top but it’s smooth, not overly boozy. The scent has serious mojo (when you read the brief you’ll get the reference), so a little goes a long way but as it settles, a devilishly alluring warmth and sultry sexiness ensues. Coming in from Barcelona, we have Ramon Monegal’s Agar Musk. Mr. Monegal started his collection in 2009 but his background in perfumery is extensive. He began his training in the 70’sand has study in Geneva, Grasse and finally in Paris. He’s created over 135 fragrances and have one several FIFI awards. Of the 14 fragrances in his collection, Agar Musk is a standout. As I highlighted in my previous post about office friendly scents, there’s quite a bit of Oud scents on the market. But like Francis Kurdjian’s Oud, Agar Musk is a subtle interpretation of this ingredient du jour. It’s woodiness isn’t as sharp as some of the other Oud scents out there and I think this will allow Agar Musk to have wider audience. Its use of nutmeg is well played and gives it nice warmth. Finally, the use of leather brings out beautiful richness enveloped in smoky notes that nestles into your skin for its comforting parting shot. Bravo Ramon. If you know the brand Etat Libre d’Orange then the title of this fragrance, which is one the season’s best (I’m a sucker for a good name), should come as no surprise. Etat Libre is the wild boy of the bunch and with that comes good and bad. The Afternoon of a Faun is a good one. 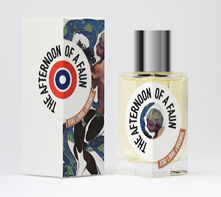 It was created by the perfumer Ralf Schwieger, whose work I first encountered at Atelier Cologne (Orange Sangine, Vanilla Insensee and Amber Nue). This latest creation is both perky and slightly peppery. It’s an interesting contrast. 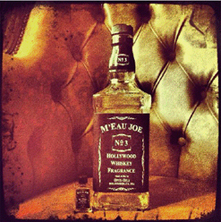 With a short sniff you experience its brightness while a longer inhale reveals the pepper notes. I’m not sure I ever experienced anything like that before. But I love realizing it. It’s also earthy and vegetal. It feels crunchy, like walking through a pile of leaves on brisk morning. The drydown is smoky and its leather notes become more prominent. Overall, scents like this, that can send my brain into a flutter all at once, win every time. If you asked me what I like from the Atelier Cologne collection, Oolang Infini easily comes to mind followed by Bois Blonds While I point these two out, the collection is so damn good that if I spent any time with the other scents, I’d probably change my favorites. 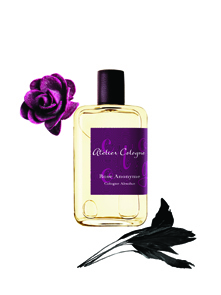 I’ve spent time with the latest two releases, Vetiver Fatal and Rose Anonyme and for a while I was torn between the two but my heart lies with the rose. I’ve fallen for other roses, Rose 31, Paestum Rose and Rose d’Homme to name a few. That said I welcome the beloved flower in my scented world. There’s no question that this is a rosy fragrance. It’s full and juicy from the opening but I also get notes of spice as well. What put me over the edge was how wood and leather notes sneak up, as the rose seems to be toned down. That warmth will feel right at home as the temperature dips. Mindy Yang, VP of Min New York, introduced me to Kerosene some time ago. She told me the perfumer, John Pegg’s story and I was moved. It’s gritty, raw and full of moxy. Every now and then you’ve got to just throw caution to the wind and go for it and John did. It’s hard to believe he has no formal perfume training but his nose knows. His latest creation, which I’m very fond of, is Woodhaven. When you go fragrance shopping and the salesperson asks what do you like, if you say I like woody scents, Woodhaven is right up your alley. Right off the top the woods in this scent feel rich but they’re balanced with citrus notes, which keeps the scent upbeat. It’s also incensey and resinous and that really comes out in the drydown. 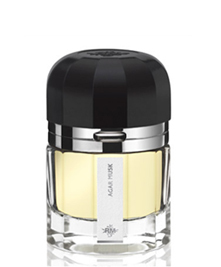 But like at the top, the middle and basenotes are balanced with ginger and vetiver, which give the scent depth. A wood is not always just a wood and Woodhaven’s twists and turns will keep you on your toes. It’s hard to believe it’s been 20 years since Thierry Mugler launched Angel. I remember the first time I smelled it, I wondered why men’s fragrances couldn’t smell this good. Once A*MEN came along, I snatched up a bottle and it’s been a part of my scent wardrobe ever since. 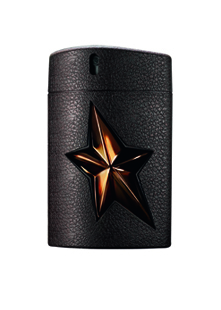 To mark the occasion, Mugler is releasing A*MEN Pure Leather. If we’re to believe the marketing materials I recently received, the process to create this scent was extensive. Special vats were created and the scent’s extracts matured with raw leather. If you ask me, that’s impressive. As for the juice, if you’ve been an A*MEN fan, this won’t disappoint. As with the other flankers that’s been produced, A*MEN is recognizable right at the top. The addition of the leather, which somehow lies in the background playing its position, is wonderful. I also get some mint and coffee at the top but everything is well balanced. I can see guys really getting into this so keep your sprays to a minimum as the scent projects. Last but certainly not least, when the latter part of fall gets blustery, we tend to go into hibernation mode. So why should we neglect a scent for the home? 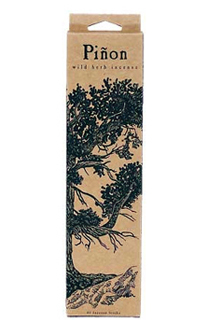 For that I present Pinon Incense from Juniper Ridge. I had the pleasure of meeting this brand at the recent Elements Show and their collection of products, which include soaps, room sprays, teas, essential oils and sachets, is all-natural. The incense isn’t overly fragrant because no perfume is used. 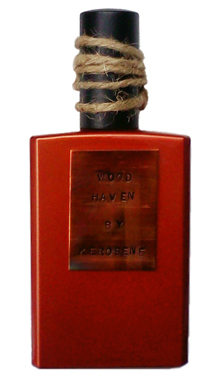 All it is woods and resins and what’s produced is the comforting scent of slightly sweet wood and pine. This post happens to be part of a group effort I’ve been participating in this year. It’s been a lot of fun seeing what my pals are talking about. Pop on over to Eyeliner On A Cat, Olfactoria’s Travels and Persolaise to what scents they’re looking forward to for fall. This entry was posted in Fragrance Review and tagged A'Men Pure Cuir, Atelier Cologne, best cologne, best mens cologne, Etat Libre d'Orange, Fall Fragrances, Home Fragrances, Juniper Ridge, Kerosene Fragrances, men's cologne, Men's Fragrances, mens cologne review, mens top fragrances, new mens fragrances, Opus Oils, Paestum Rose, Pinon, Ralf Schwieger, Rose 31, Rose Anonyme, Rose d'Homme, The Afternoon of a Faun, Thierry Mugler, Woodhaven. Bookmark the permalink. Beautiful choices, Barney. I’m looking forward to trying the new Atelier Cologne, it gets so many good reviews. P, A’Men Pure Cuir is really good. I quite happy with what they did with this one. Looks and sounds like a wonderful collection. Now need to figure out a way to get myself all seven! Thanks Robert. One at a time my friend. I love this list. Every one sounds wonderful. The only one I have is the ELDO one. I’ve been waiting for the cooler weather to wear it. I’d love to get hubby the A*men or the Woodhaven but he tends to go for those clean fresh scents. He does wear the original A*men once in a while for me though. The Rose Anonyme is quickly becoming a lemming for me. Too many good things have been said about it recently. I’m intrigued. Thanks Carrie and yes, fall is exciting. Great line up. I especially your description of Rose Anonyme. It sounds like something right up my alley! Rose Anonyme is excellent. If you sample it, do let me know your thoughts.